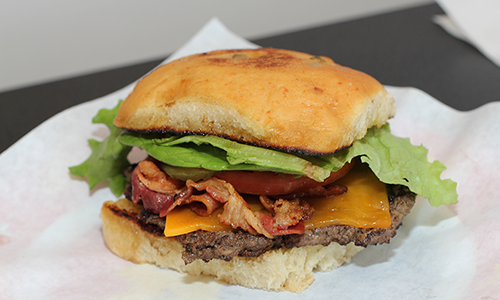 "Voted Best Burger in the county"
Give us a call or Stop on by! Tomorrow is the last day to get your hams and turkeys before Christmas!!! Come see us from 10-4pm Sunday Dec 24th!!! We wish you and your families a Merry Christmas and Happy Holidays!!! Holidays are right around the corner be sure to get your orders in!!! We have Cajun Fried Turkeys! Honey Glazed Hams! Side and pies!! We are here to serve! After a long, few days of being closed, we are finally open! 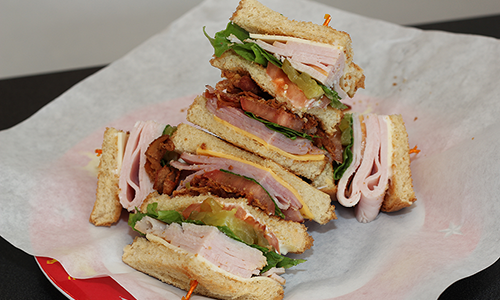 Break the cabin fever and come join us for lunch. Check this out!!! Our burgers are mentioned in the review for Taco USA!! Come try our burgers see for yourself they are the best!!! I've always heard that Taco USA has a good burger. I'd like to confirm that this is indeed true. I'd definitely order it again. I'd put it up there with Honey Bee Ham's. That Sheila Partin bun!! Do you have big holiday plans this season? Call us to find out what we have to offer! We make side dishes, main dishes and of course we have our amazing honey glazed half hams!! !